Annual Turnover Upto Rs. 50 Lakh. We, G.S. Packaging Machine from 2015 are serving our customers by manufacturing a high-quality Processing and Pouch Packing Machines. 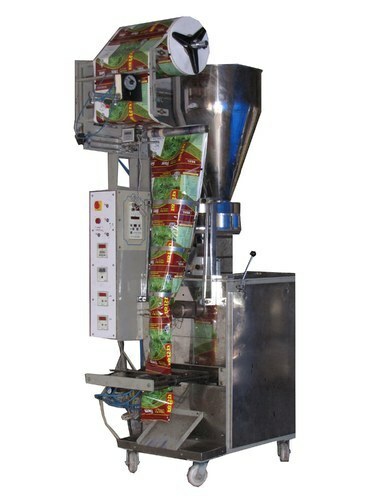 Offered products range consists of Pouch Packing Machine, Processing Machine, and Snacks Making Machines. These offered ranges are manufactured from best quality raw materials and modern technology under the direction of experts. Offered products are known for their ease of operation, low maintenance costs, high performance and longer serving life. Our infrastructure is known for its high production and well-equipped with the modern machinery. We upgrade our infrastructure time to time, through cutting-edge technology. In addition to this, we have a team of professionals and other supporting staff, for managing various units of our infrastructure in the most efficient manner. Apart from this, for the convenience of our clients, we receive payments through various modes such as cash, online, and DD.